Clothing/Jewelry Description A small hat on the back of her head, and a bracelet valued at $5,000. Distinguishing Characteristics Caucasian female. Dark brown hair, brown eyes. Zelko's nickname is Molly. Some accounts give her age in 1957 as 42. Zelko lived on Buell Avenue, and her car was later found parked in front of her residence with the keys under the front seat where she usually put them. Her neighbors reported hearing screams and a car driving away at high speed between midnight and 12:15 a.m. The only trace of her that was found were her shoes, one on the trunk of her car and one on the ground nearby; Zelko had previously told friends that if she were attacked she would take off her shoes and run away. None of her other belongings, such as hat or her purse and its contents, were found at the scene, and there were no indications that she had spent the night in her home. Her car keys were found under the vehicle's front seat, where she usually put them. Zelko frequently wrote articles about mobsters, political corruption, and gambling. It is believed that she may have been abducted and murdered as the result of her writings. The paper's publisher had been beaten nearly to death by two unidentified men nine years before and his office was ransacked; although no charges were filed against anyone in connection with the incident, he and Zelko alleged it was retaliation for paper's anti-gambling stance. The publisher never fully recovered physically from the attack and died less than a year after Zelko went missing. Investigators examined the financial records of the Spectator after Zelko's disappearance, hoping to find a possible motive, but discovered nothing amiss. The Spectator folded in 1965, after 39 years of publication. A witness claimed to have seen four men with a black car bury a woman's body near the bottom of an open storm sewer ditch near Zelko's home the same day Zelko vanished. This account was not reported until 1978 and has not been confirmed. Zelko's case remains unsolved. A voluntary disappearance is considered unlikely, as she was very close to her family who all lived in the area. 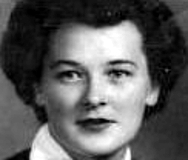 She was declared legally dead in 1964, seven years after her disappearance. Updated 4 times since October 12, 2004. Last updated June 25, 2017; height added, distinguishing characteristics and clothing/jewelry description updated.